Candy is a nerds kryptonite. There’s no tastier energy source to have on you when you lock yourself up in your room for days playing online fantasy games. This e liquid features the high sugar content you need to stay up all night until daylight. When the flavor touches your taste buds it will be so sweet your tongue may let out a shriek but then you’ll remember it's just vapor smoke. Look, we like to skip the intro and get right into the action just like you do when you’re playing any adventure or RPG game. Why hold life in suspense when you know exactly what happens next. Most of the time we already know the story, we just want to play the game and with this line of thinking, Nerdee Baker was born. Each inhale will help you be more calm and alert as you glare at your computer screen and each exhale will remind you how life is a gift that should be held onto dearly. Plus, when you do exhale you’ll blow out vapor clouds that will dazzle those around you or at least they will once you get around real people again. Here’s the thing, if you’re starting to get bored of the current e juices your vaping it may be time to try a more premium blend. The goal of The Chubby Baker brand is to offer new amazing experiences each time you vape. They use high-quality ingredients and manufacture in the USA to ensure their process is premium every step of the way. Think of it almost like the difference between a flip phone and a smartphone, they both get the job done except one is able to offer you a little bit more. 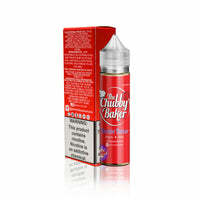 Captivate your senses with a vape juice from a brand that probably knows you better than anyone else with Nerdee Baker by The Chubby Baker E Liquid.